Deposit of £75 per week, and balance to be received 8 weeks before start of holiday. 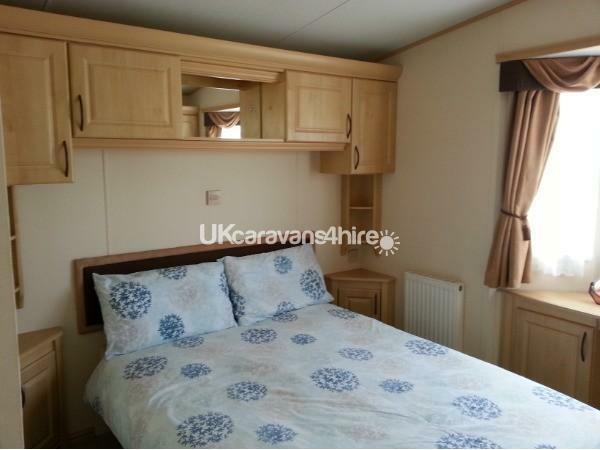 Also extra security/cleaning bond of £50 to be paid with balance, and this will be refunded within 7 days of departure, as long as our caravan is left in the same condition as when you arrive. Please note this caravan is not dog friendly - see www.dogfriendlycaravanholidays.co.uk if you would like to bring a dog with you. 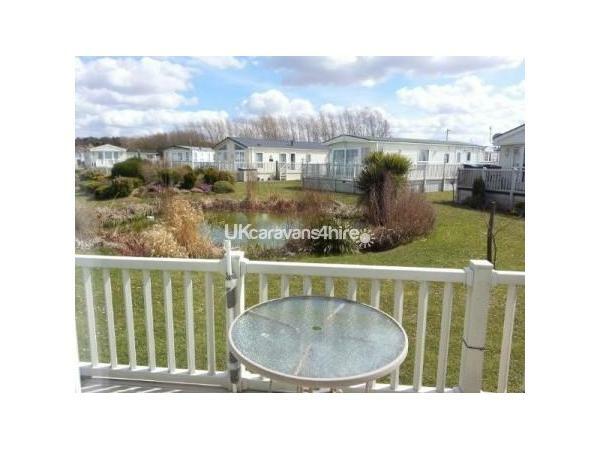 SEE OUR WEBSITE where you can check prices and availability, and book online - www.northnorfolkcaravanholidays.co.uk Privately owned static caravans for hire at Manor Park Holiday Village in Hunstanton, Norfolk. 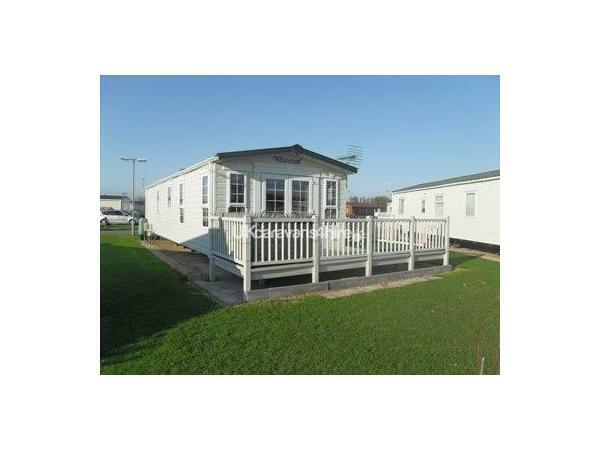 It has a decking along the side and front, with hard standing parking for up to 2 cars. 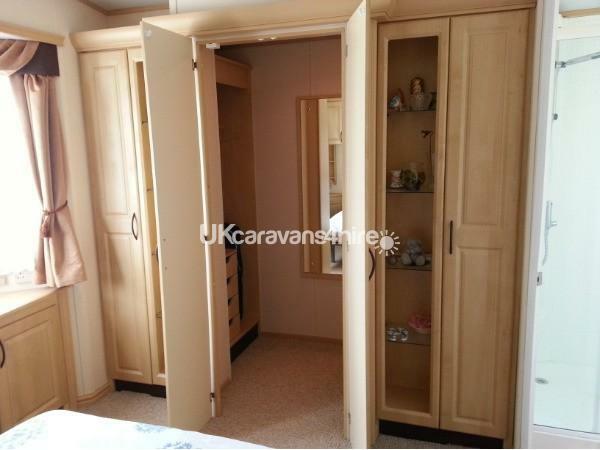 It has a large double bedroom with a walk in wardrobe, and the 2nd room has a 4ft double, sleeping up to 4 in total, with plenty of wardrobes and cupboards. 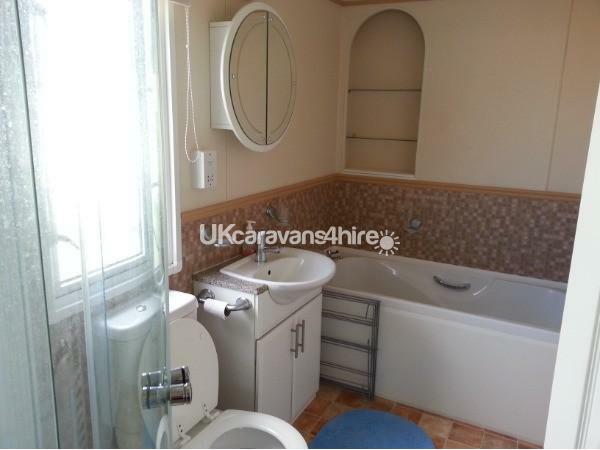 The large bathroom has a shower, toilet, basin, and nearly full size bath. 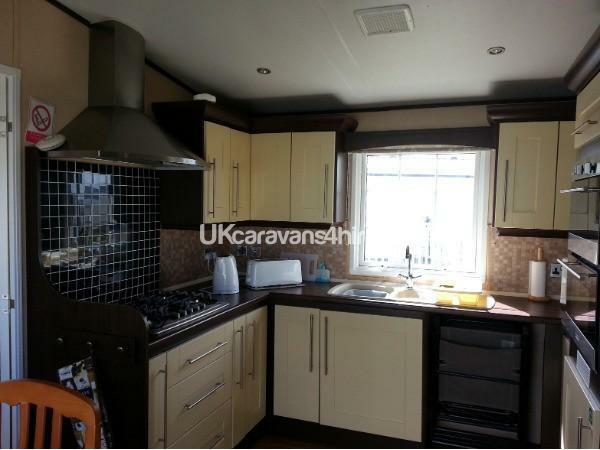 It has full double glazing and central heating, and an extra electric fire in the living room. It has an LCD television in the separate lounge, with Freeview and DVD/cd player, and the lounge has a comfy leather suite. (There are throws available if you prefer to cover the leather) The table seating 4 is in the kitchen. 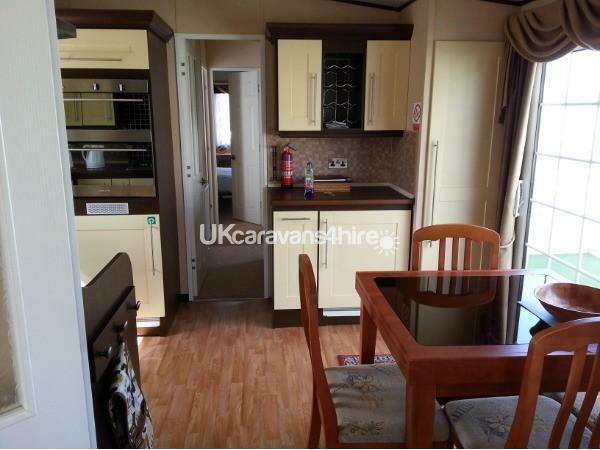 The separate kitchen has a large hob, fitted oven with separate grill, - everything you need for cooking, including a large fridge, a microwave, a three drawer freezer, and all the usual pots and pans with lots of extra bits and bobs for your convenience.